Yes, the weather outside Uptown may be frightful, but your winning chances in here are surely more than delightful! 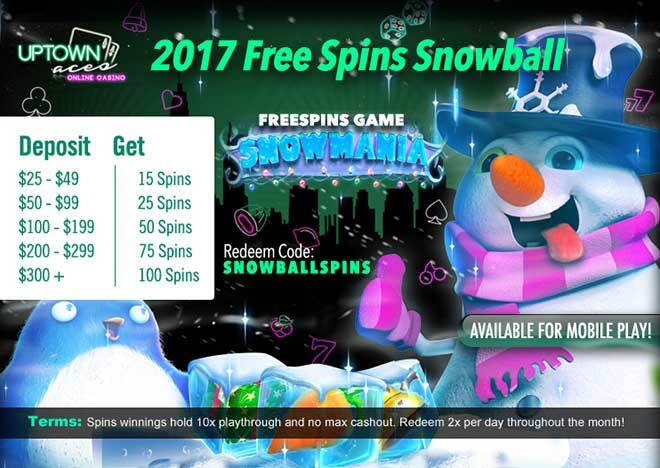 Make it your first event of the year be a winning one when you make a deposit of as little as $25 to collect up to 100 Free Spins you can use in our winter-themed Snowmania slot! Christmas may be over - but the season of winning continues Uptown with some of the warmest greetings to the New Year with Free Spins and wins!